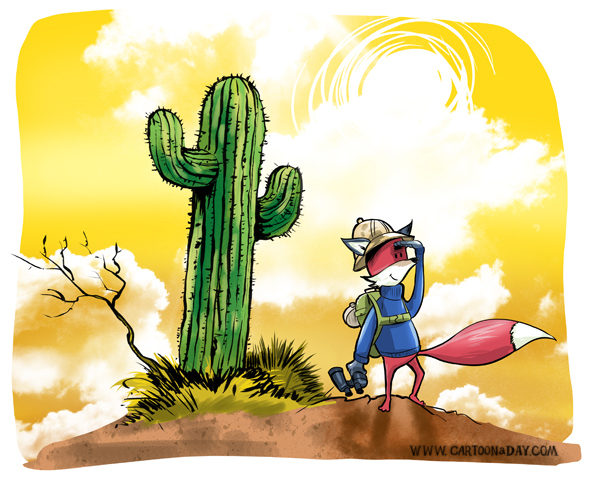 My little buddy KIT the fox is off on another adventure. He’s got his trusty backpack and binoculars and seems to be scouting the desert. Don’t get too close to the cactus!